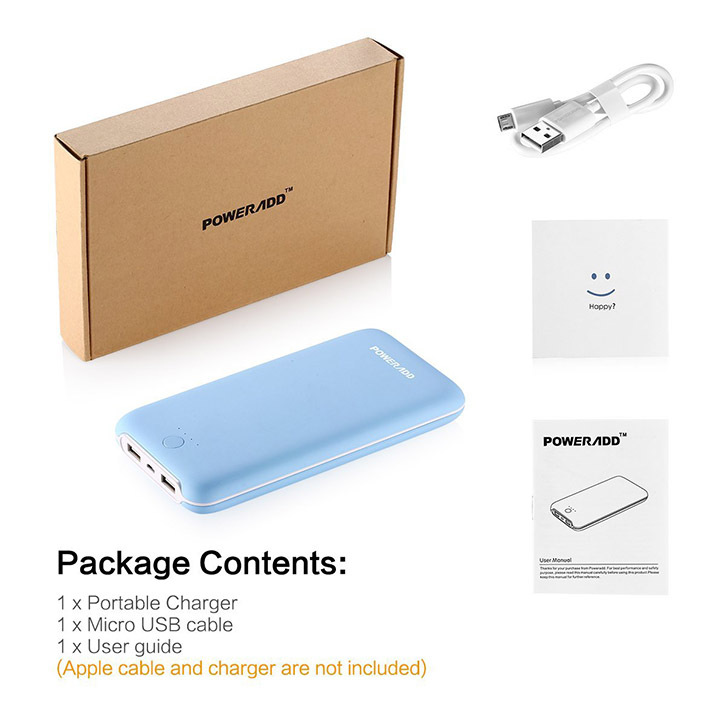 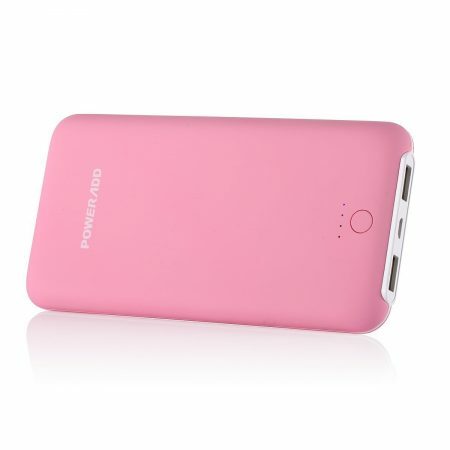 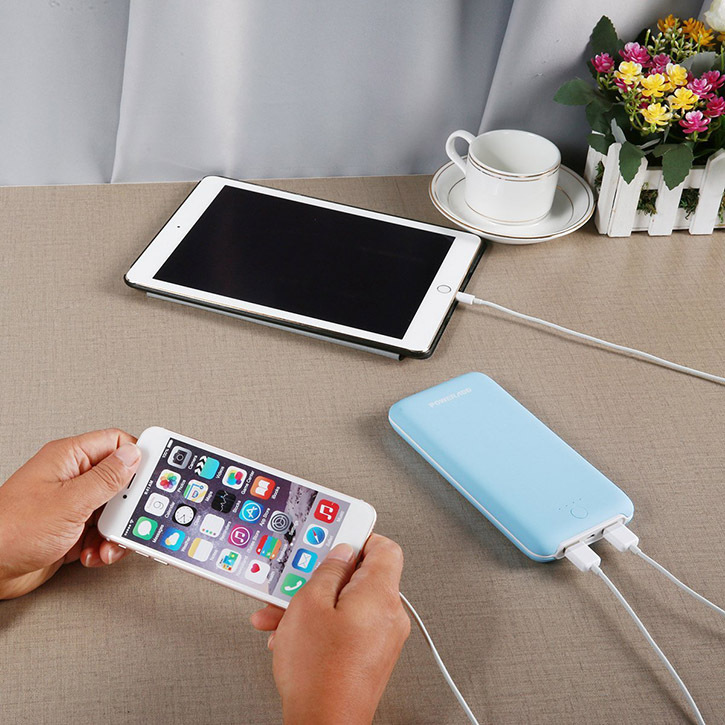 The power bank shell resembles iPhone 6 in the 2.5 curved surface with most comfortable touch. 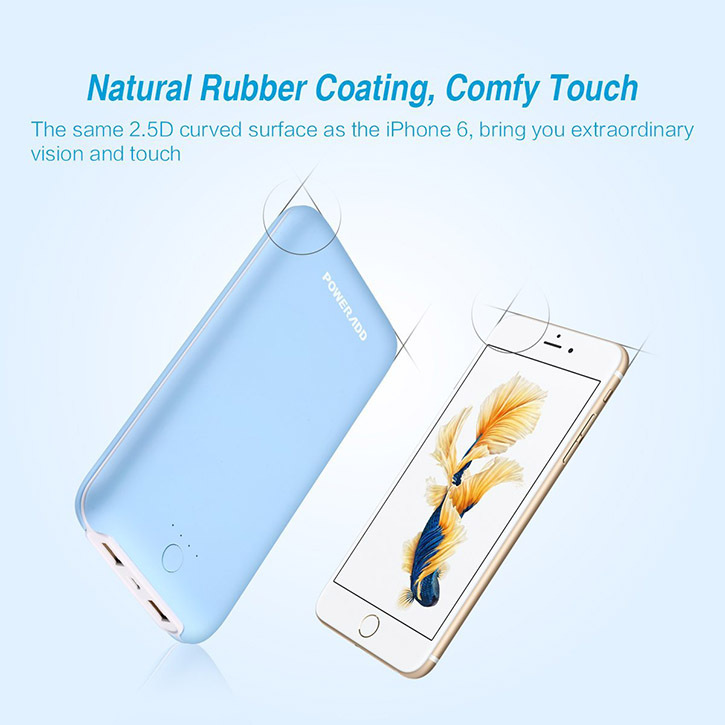 Vivid sky blue color with natural rubber coating on the surface. 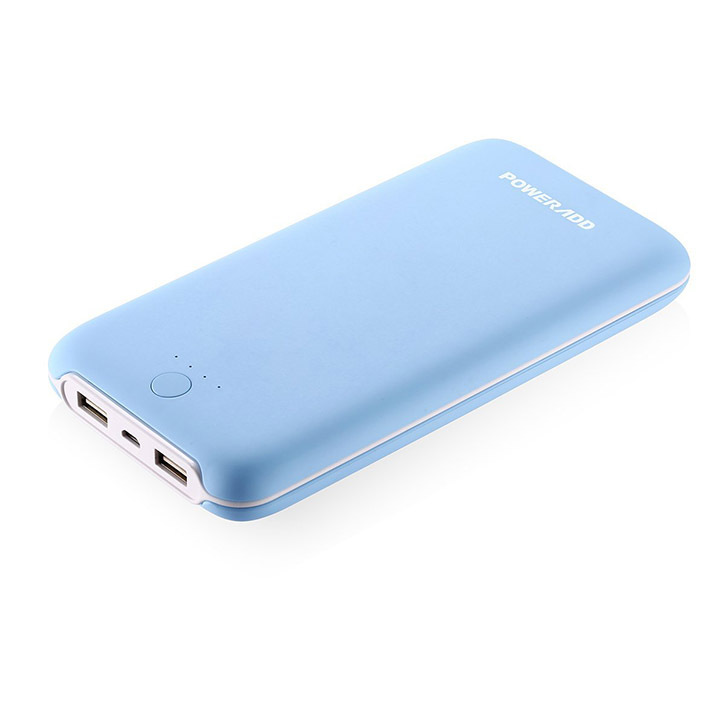 It features compact small size and lightweight desgin. 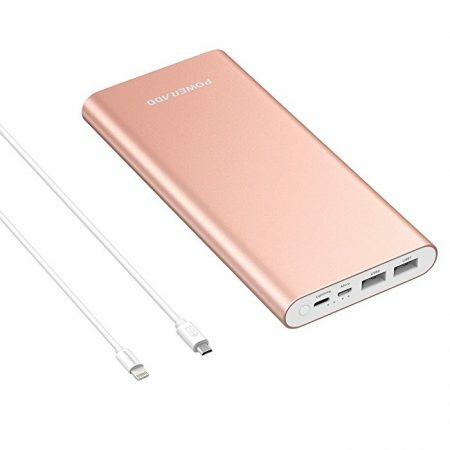 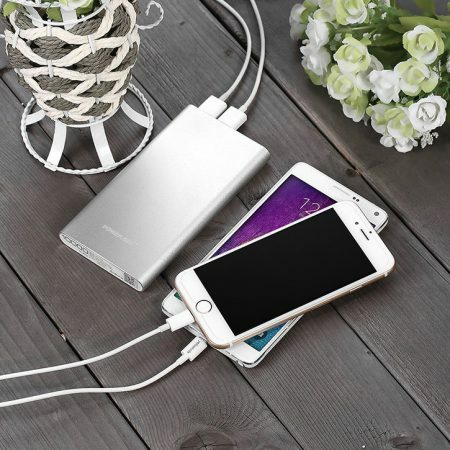 This whopping capacity 20000mAh is able to gives your iPhone 7 about 7 charges, or more than 3 and a half changes for a Samsung Galaxy S7 Edge, or charges a 9.7 inches iPad Pro twice. 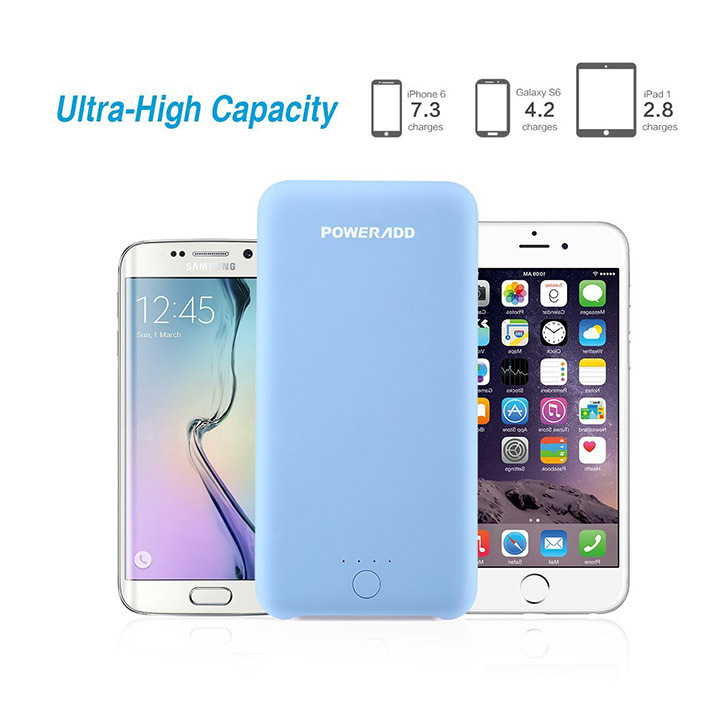 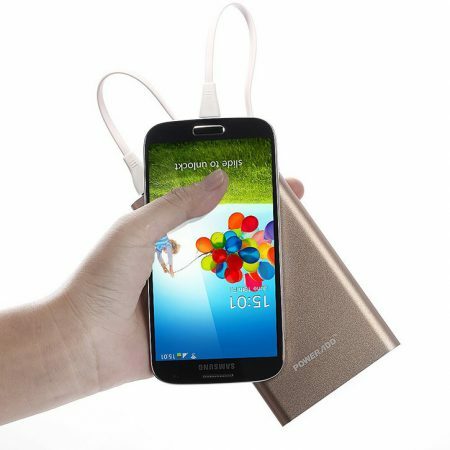 The built-in premimu A+ Li-Polymer battery features 500 charge cycles. 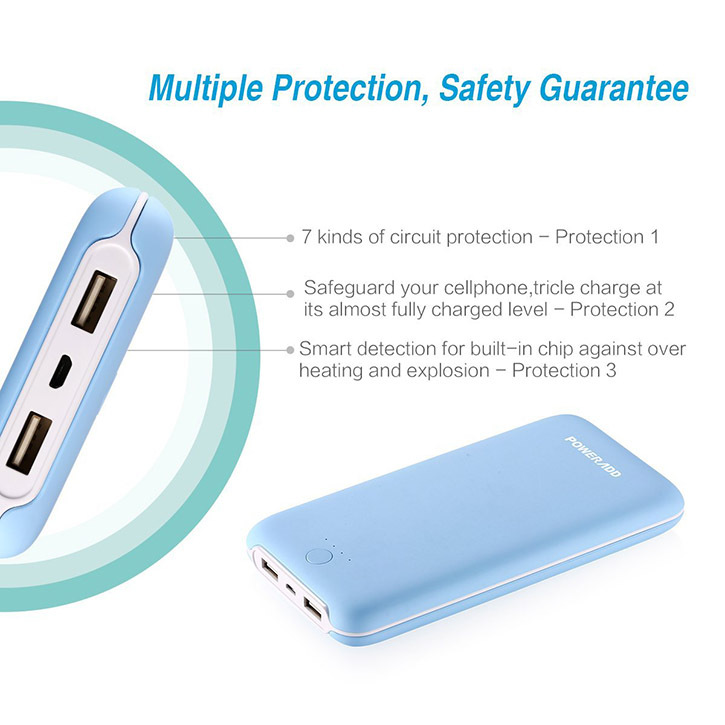 The safety system perfectly safeguards your devices against any over charge or over heating. 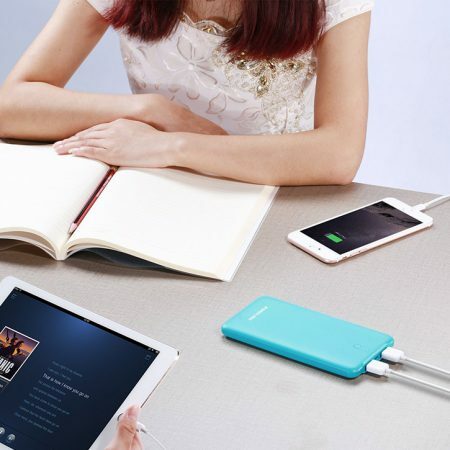 Smart dual USB output ports: the power bank can charge 2 devices easily at the same time. 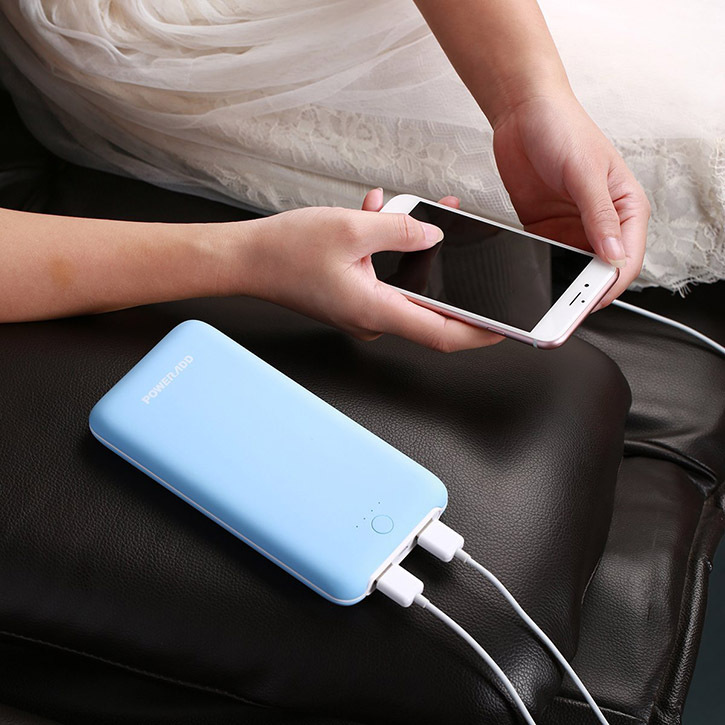 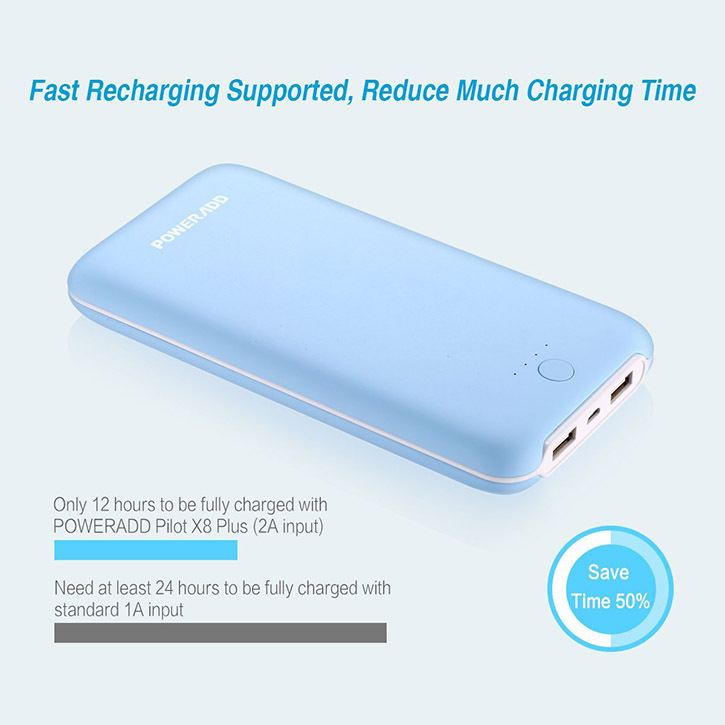 The 2.1A output recharges your device surprisingly quickly.